KiT Sportswear are delighted to be an Official Licensee for the My Name'5 Doddie Foundation. Are you excited to get out on tour this year? 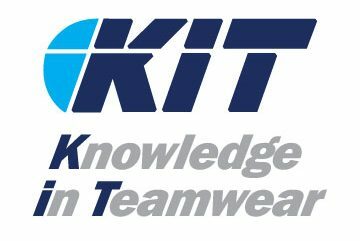 KiT Sportswear have signed up to supply beach rugby playing kit and leisurewear to Lignano Beach Rugby for five years. If you have a team entering Lignano Beach Rugby this year and wish to have some new kit, please contact Paul Griffen via griff@kitsportswear.com For further information on Lignano Beach Rugby please visit their website. Good result for the Fiji Kings 7s Select Team who are coached by the 7s Legend Waisale Serevi. We wish you all the best in your remaining Pool Games. The J9 Foundation team have for the 2nd year in a row, won the vets section of the Dubai 7s tournament. Congratulations what an achievement guys and a great experience getting to be there to witness the result! It's definitely an honour to be involved with and supporting the J9 Foundation. Thanks also goes to all… Continue reading J9 – Champions 2016! So nice seeing the J9 logo on so many team sports kits supporting us and raising awareness. Thank you Kit Sportswear for all your help. This is the amazing company who sponsored our winning J9 Legends team in Dubai last year with that amazing kit and have continued supporting us this year buy getting our logo on so many team’s arms.